Think of the USA's great soul music cities and Bloomington, Indiana may not spring straight to mind. Yet this thriving Midwestern college town has a rich history with the music. It saw America's first collegiate pop ensemble, the Indiana University Soul Revue, founded back in 1971--and now claims birthplace to Durand Jones & The Indications. 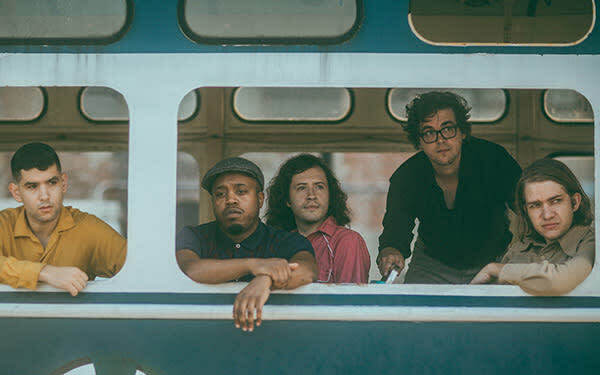 A young quintet carrying the torch left behind by the likes of Charles Bradley and Sharon Jones, combine their love for the soul genre with a DIY punk ethos and an emphatically persuasive live show, all of which is evident on the act's eponymous debut album, "Durand Jones & The Indications." Ginger Root will open the show.